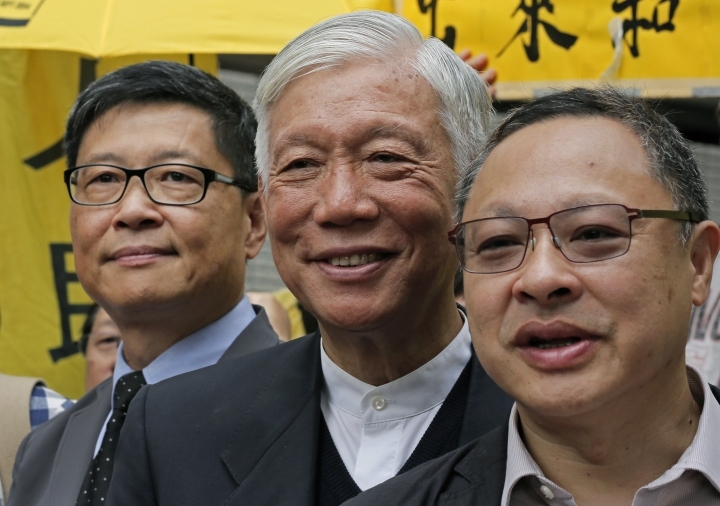 HONG KONG — A Hong Kong court extended bail Wednesday for nine leaders of 2014 pro-democracy demonstrations who are awaiting sentencing after being convicted of public nuisance offenses. The guilty verdicts handed down Tuesday against the nine were condemned by rights activists as a likely sign of increasing restrictions on free expression in the semi-autonomous Chinese territory. The defendants will be sentenced April 24. 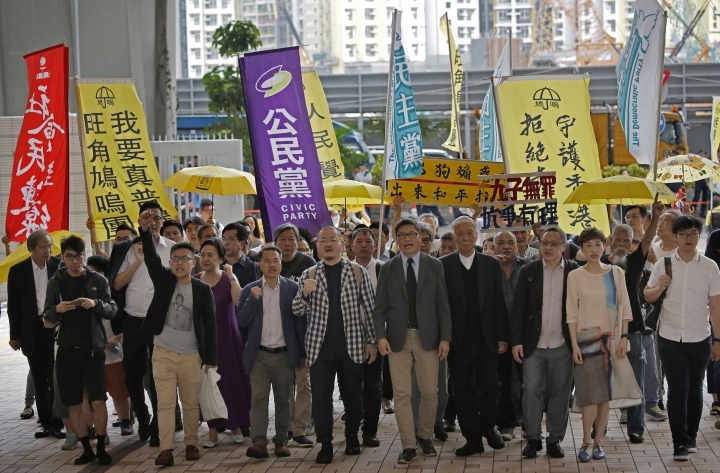 The nine were leaders of the "Occupy Central" campaign, which was organized as a nonviolent sit-in that became known as the "Umbrella Movement" after a key symbol of defiance against police adopted by the street protests. The movement shut down parts of Hong Kong, and was marked by occasional clashes between demonstrators, the police and others before the last protesters were cleared from the streets after 79 days. 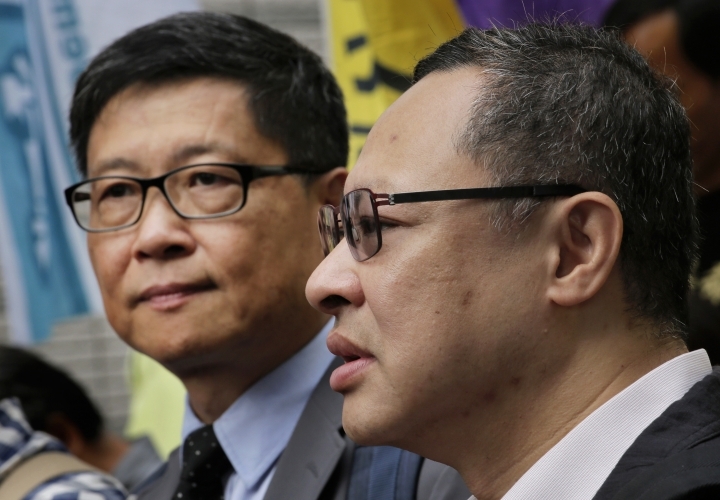 Protesters demanded the right to freely nominate candidates for Hong Kong's leader who would then be elected by all of the territory's roughly 5 million voters. 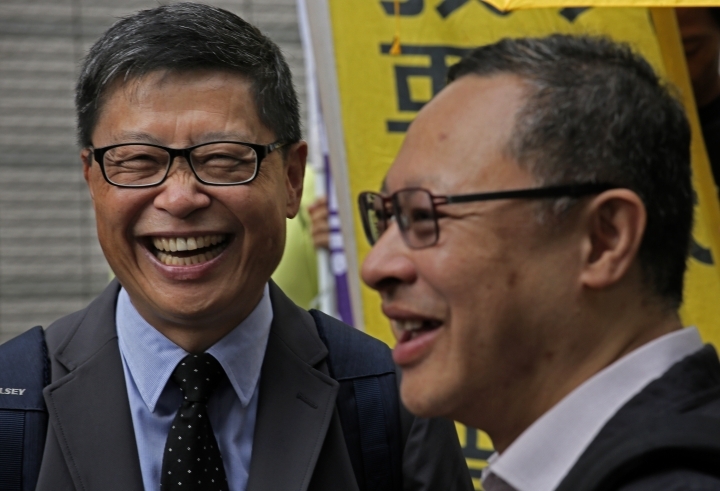 However, they failed to win any concessions from the government and Hong Kong Chief Executive Carrie Lam was chosen in 2017 from among a slate of candidates approved by Beijing and elected by a 1,200- member pro-China electoral body. Amnesty International said the nine had indicated they would appeal their convictions to avoid deterring future protests or setting a precedent for similar prosecutions in the future. 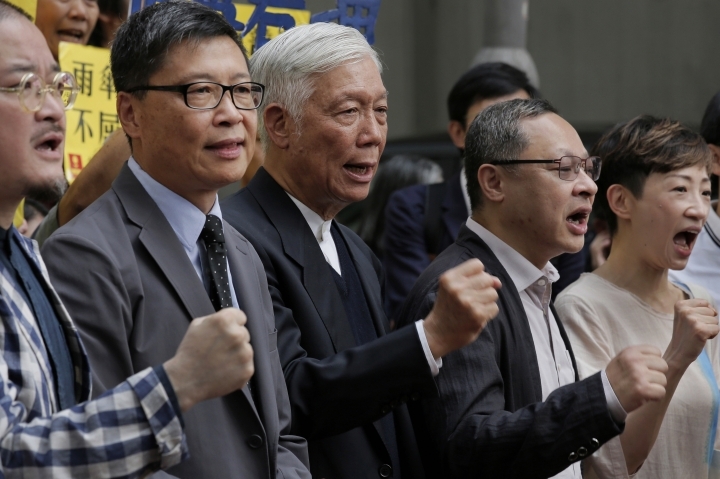 "The conviction of these nine prominent figures of the Umbrella Movement is likely to have a chilling effect on freedom of peaceful assembly and expression in Hong Kong," the rights group said in a statement. The charges carry a maximum penalty of seven years.